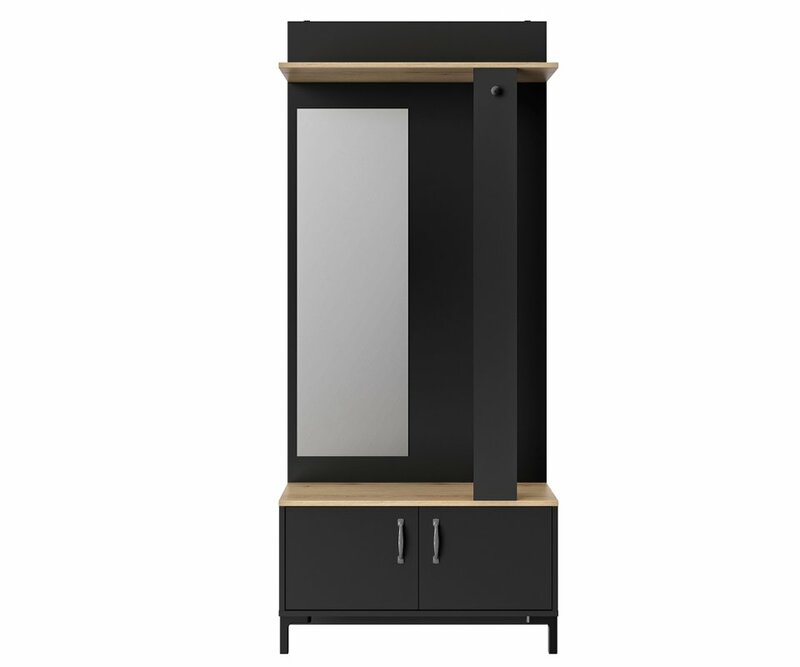 MIRRORED PANEL: The full-length mirrored panel adds dimension to the room, and offers a place to spot check your wardrobe on your way out the door! 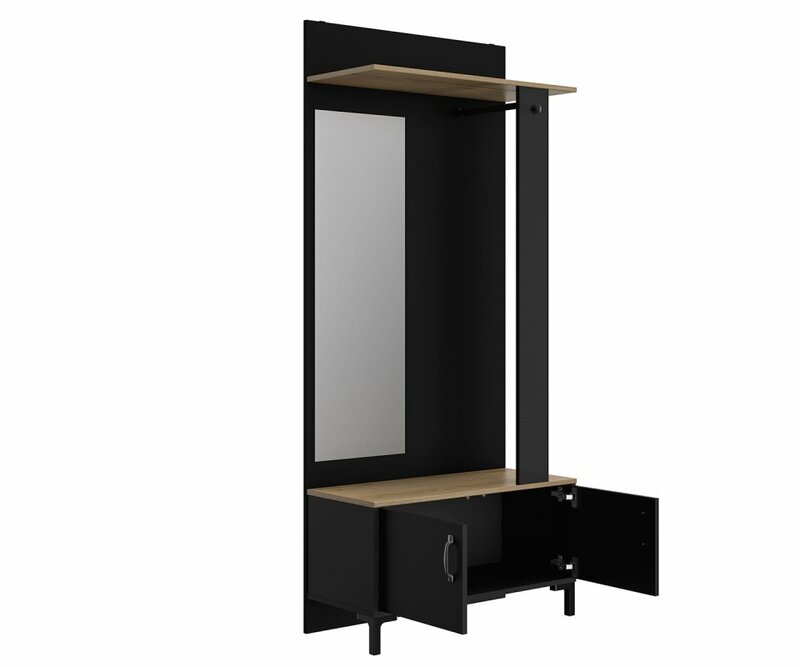 At 31.9”W x 74.8”H x 14.6”D, the Store Hallway Unit is designed to fit in studios and apartments, condos and homes or offices of any size. 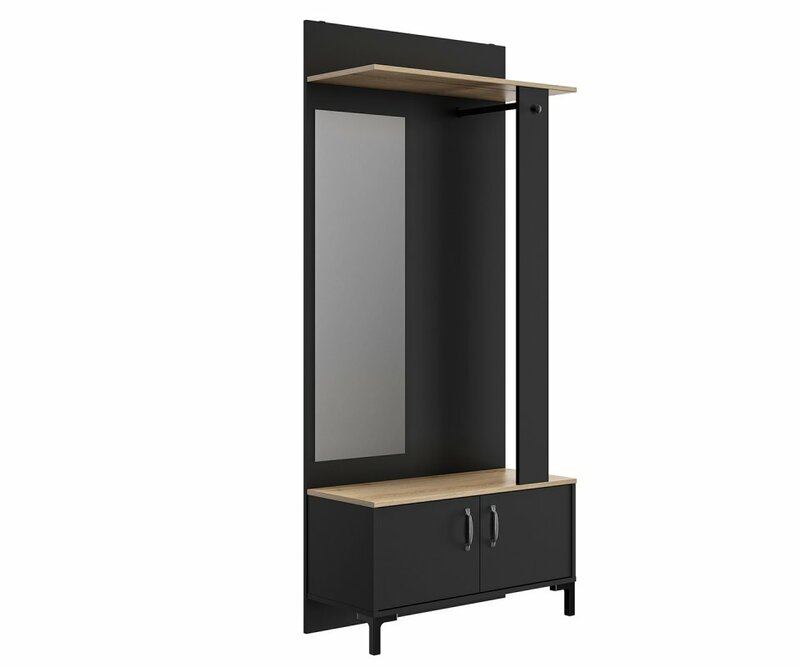 It has sleek industrial style, with black on black cabinetry, legs and handles, arched accent trim, tapered legs and metal hang rail. The Store unit features natural woodgrain shelves that add warmth and rugged appeal. 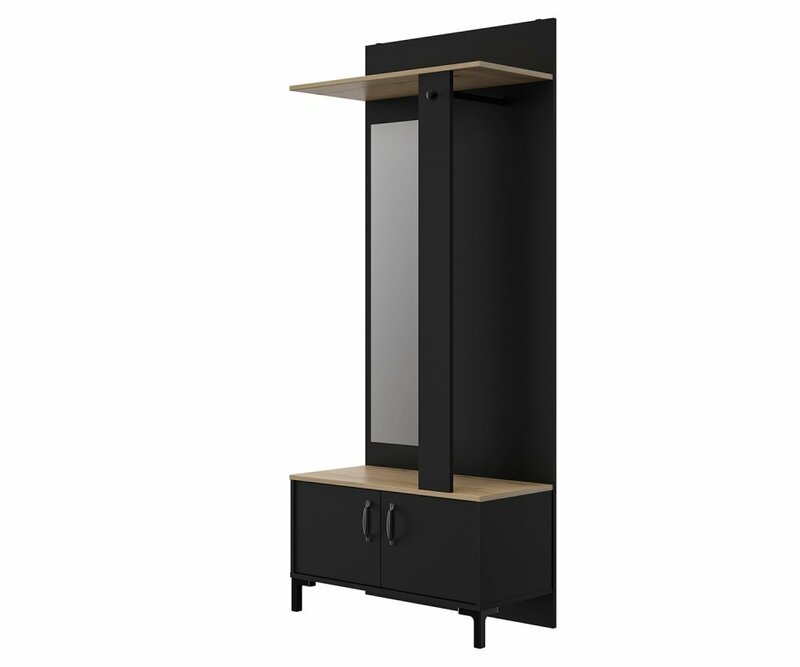 A full-length mirrored panel on one side allows for last minute wardrobe checks, and adds light and dimension to the unit. 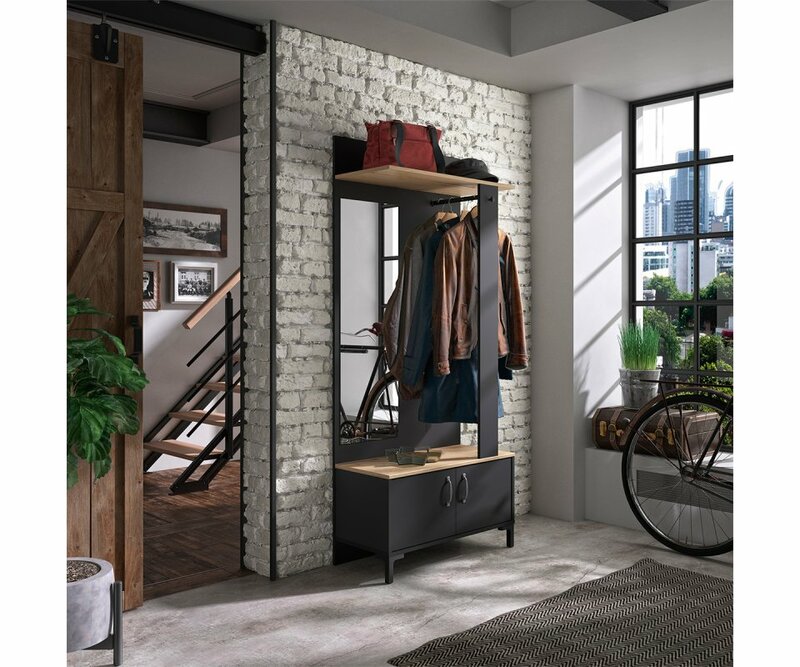 A solid hang rail is installed on the side between the front and back panels, and provides a place for outerwear to be hung without being the main attraction on the wall. 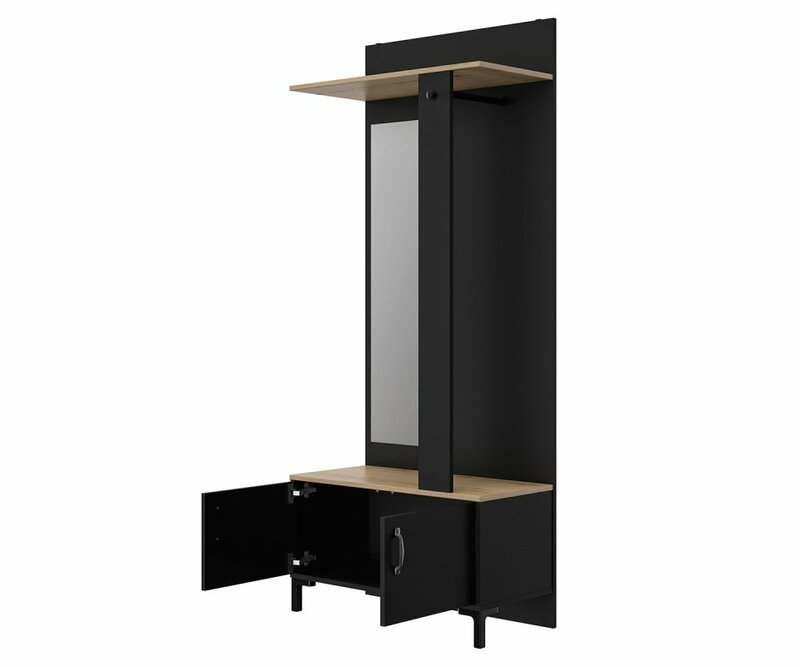 The Store unit is made from heavy-duty MDF boards and steel hardware, so it will remain sturdy and strong with normal use. It comes with the hardware to attach it to the wall for added security. Create a welcoming entryway with the Store Hallway Unit!